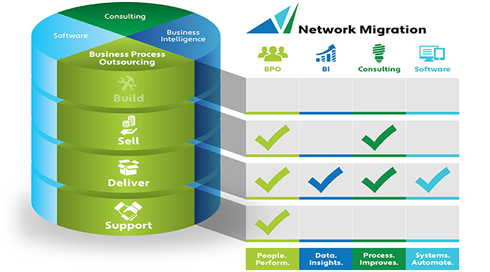 Network migrations are among the most difficult financial and engineering challenges your business will face. They must occur according to a sound plan and take place with minimum disruption to customer and end user operations. Smooth migrations are the consequence of confirmed processes and strong planning, and are constantly required in adding up to business as usual. Extended internal resources get it difficult to handle migrations successfully along with their routine work and the penalty can be delays, lost clients & lost revenue. Our experienced team has solved migration challenges for carriers of all kinds & sizes. You gain benefit from predictable, proven levels of success and client satisfaction while you get typical cost savings. Our on-demand consultants have deep understanding reconfiguring large, compound carrier networks, and migrating main corporate accounts with minimum disruption to you and your end user.